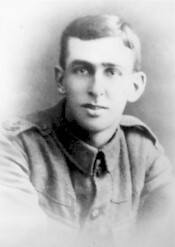 Percy Bettle was educated at the Nether Street School, while there he joined the Beeston Boys Brigade and later the Old Boys. The family were stout Primitive Methodists3 and the name of Percy Bettle is on the memorial plaque on the Wollaton Road Church wall. Percy joined the Sherwood Foresters being posted to the second line 2nd/7th territorial battalion. Little is known of his army record4. He may have served in Ireland before the battalion went to France. "At 5am the enemy opened up with a very heavy bombardment. On the front line it was mostly trench mortars and gas shells. The mist, the dust and the gas made it impossible to see more than a few yards ahead. All telephone lines were cut in the first few minutes and communication had to be carried on by runner. One Lewis Gun Team got clear of the trenches into the shell holes in front of our wire, and escaped the worst of the bombardment. They committed many casualties when the enemy came over the top, until a well directed trench mortar knocked them all out. The front line was practically levelled to the ground, but a good deal of hand to hand fighting took place, and the numbers of dead on both sides testified to the stubbornness of the defence. The Germans attacked again at 8.30am and by 10.00am they had broken through on both right and left of the line. The mist cleared about 10.15am, and a battalion of Germans could be seen marching along a ridge some 800 yards on the right." Many Robin Hoods met their fate on this day the casualty list total being 26 Officers and 629 other Ranks. Lance Corporal Percy Bettle has no known grave and is commemorated on the Arras Memorial to the "Missing" which is situated in the Fabourg d’Amiens Cemetery, Arras, Pas de Calais, France. 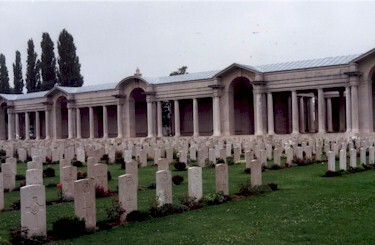 Although there is no indication on the CWGC records, later research showed that Percy Bettle had married Agnes Annie Ward at the beginning of 19165 and that his wife went to live with one of the family and worked at the Concordia factory in Long Eaton until she was seventy three years of age. The author (the late Ray Smedley) was later in touch with Agnes, their only daughter, who married Ken Newbold; they lived at 10 Douglas Road, Long Eaton and the couple had three children. Ray found Mrs Newbold to be a lovely lady who was so pleased with the work he was doing. The only thing she knew about her father was that he had been "killed in a big battle in France". 3Although, upon arrival in Beeston, their then three children were baptised together at Beeston Parish Church, on 9 July 1879. Their next child was also baptised there in 1880. 4His Service Record does not appear to have survived the damage caused by an World War 2 air-raid which destroyed the majority of these records.